ByronArts is the publisher of the books listed on this site. They may be purchased online through Byron Arts, Amazon, and Barnes & Noble, as well as in some local bookstores. Quantity discounts are available—to learn more, email us at SERVICE@ByronArts.com. To learn more about these books, scroll down or click on the appropriate book cover. 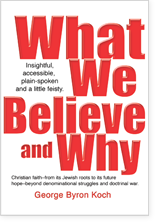 An insightful, accessible, plain-spoken (and a little bit feisty) look at the Christian faith – from its Jewish roots to its future hope – beyond denominational struggles and doctrinal war. For individuals, small groups and congregations seeking deeper knowledge of the faith and greater maturity in Christ. Learn to love, care for, and respect people struggling with mental illness with Those People. A guide for the family, friends, and caregivers of those with mental illness, Judy Davis explains the key types of mental illness, what it feels like from the patient's point of view, and how family and friends can help—or hurt!—the process of recovery. What evil rises to thwart Mary in her role as mother and protector? 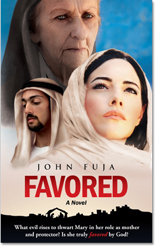 Is she truly favored by God? This engaging novel about the mother of Jesus is written with an awareness of the cultural realities of life in first-century Israel. 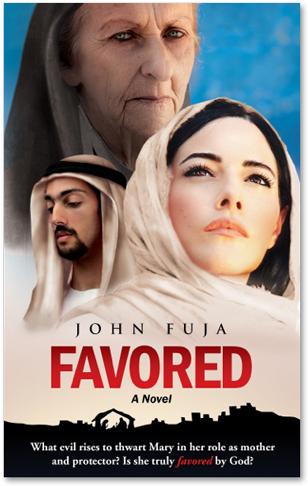 Journey into the history of our faith, journeying with a young woman destined to give birth to the savior of the world. Pastor George is also available for speaking engagements. Send us an email to learn more! Challenge and deepen your faith with What We Believe and Why! Insightful, accessible, plain-spoken....and just a little bit feisty. In this sweeping look at the Christian faith, Dr. George Koch lays out the foundation of what we believe and why we believe it. Examining Christianity from its Jewish roots to its present-day situation, Dr. Koch moves beyond the denominational struggles and doctrinal wars of modern Christianity to get back to the heart of our faith and examine how we can move past these debates and achieve true unity in Christ. For the full description, as well as purchase opportunities, reviews, and more, please visit the official What We Believe and Why website. In this gentle, wise, and informative book, Judy Davis offers a guide for the family, friends, and caregivers of those with mental illness, explaining the key types of mental illness, what it feels like from the patient's point of view, and how family and friends can help—or hurt!—the process of recovery. Davis was inspired to write Those People after a patient asked her if she would call her pastor and explain “bipolar” because “he just doesn’t get it.” This book offers insight and practical help to anyone–family, friends, teachers, coaches, pastors, employers–who cares for or knows someone with mental illness. 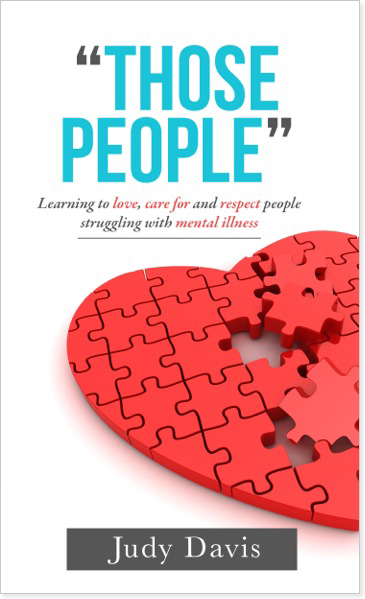 Well-researched yet non-technical, Those People is a must-have, easy to understand, gentle, wise, and caring guidebook for anyone in relationship with someone suffering from mental illness. About the author: A former educator, psychiatric chaplain and an ordained Deacon, Davis is a graduate of the University of Memphis. She has published over 50 magazine articles and has been a featured speaker at a variety of events. Davis currently leads the pastoral care team at Resurrection Anglican Church in West Chicago, IL. "Those People by Judy Davis is a wonderfully educational treatise on what it means to know and work with people that suffer with mental illness. As a practicing physician, I see people every day that must cope with mental illness, either in themselves or in caring for a loved one. Judy's book is filled with practical knowledge, insight, and empathy; I certainly learned a thing or two–wisdom that I can use every day in my general practice." "In Those People, Judith Davis has picked a title that speaks volumes. Most of us do not know how to relate to the mentally ill; they are the Other, apart from us, alien and sometimes even feared. Those afflicted feel this separation so keenly and with such great pain that they come to believe that they are indeed worthless outcasts. The Rev. Davis, an Anglican deacon with long experience counseling and helping the mentally ill, steps into this gulf of misunderstanding with a book that bridges it. She gives the reader a clear understanding of mental illness in its many forms, with life examples that show the specific symptoms that accompany the various forms of mental illness. She tells us how these people think and feel, and we are moved; they can be the Other no longer. And she shows us how to accept, love, and support them as well. This is a book not only for pastors and counselors but for anyone who wants to help the millions of us who suffer such pain." “Those People is the perfect book for pastors, teachers, ministry team members, or anyone who interacts with people where it might be helpful to identify and advise those with varying degrees of mental illness. Those People describes each mental illness using real life examples and then goes on to list the typical symptoms and effects, giving practical counsel on how to advise people who need help. I have not seen a book that does this so well and with such plain language. For me it is a must-have." "Davis presents sensitive, perceptive and wise advice for anyone who has contact with or questions about various forms of mental illness. I find the content accurate and useful for interacting with those I may know or meet in the course of my profession." During the reign of the Roman Emperor Augustus Caesar, the people of the small town of Nazareth are persecuted by Syrians—soldiers conscripted into the Roman army and who despise the Jews. Hasid, a particularly cruel deputy commander, never misses an opportunity to torment and mock them. In that town, young Mary is engaged to Joseph, but their happiness is threatened by seeming infidelity on Mary’s part. As Joseph contemplates what to do, the truth becomes clear to Rabbi Asa—a wise man, and Joseph’s friend and confidant. Reading the writings of Isaiah one day, Asa realizes that what is unfolding is the fulfillment of a prophecy. But lurking in the shadows is Zaddu, an ancient witch who has given her soul to the devil, and Zillah, the venomous town gossip. For an excerpt from the book, visit the Favored book page. This classic guide, effectively lost for several centuries, was used by John and Charles Wesley for individuals seeking personal holiness, in small group study, and in the deepening of Christian life for English evangelicals at the Holy Club of Oxford. In 1680, in the reign of Charles II, an anonymous book was published in England. It was probably written by someone familiar with the religious societies then springing up around the country. It became widely accepted, to the point that when the young George Whitefield came seeking Charles Wesley's advice, he was invited to breakfast and afterwards sent away bearing a copy. 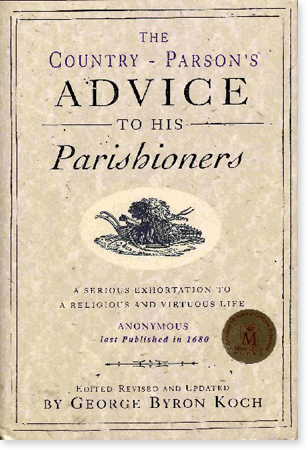 The Wesleys, and other members of the Holy Club, used the book to encourage the formation of further "societies," especially in London, where young men met to "edify one another" in their Christian faith. One of these societies would lead directly to the foundation of the SPCK. The book consists of two parts: 'An Argument for Living a Holy Life'; and 'General Directions on How to Live a Holy and Christian Life.' With considerable directness and force, the author urges his readers to consider our status as creatures of the Most High; our calling as Christians; the judgement to come; the torments of the wicked; and the rewards of those who dwell in Christ. These foundations laid, the greater part of the book is taken up with directions for Christian living: making a solemn resolution; denying self; giving yourself up to God; growing in knowledge of God; living in God's sight; finding spiritual guidance and leadership. The effect of this shrewd, compassionate, unflinching book is to put iron into the soul. Carefully revised and updated to retain its essential character, it is fully accessible to modern readers. Currently Out-of-print. New edition coming shortly. Randy Fisk has pastored (with the Association of Vineyard Churches), taught (at Valparaiso University) and, most importantly, been made part of the royal priesthood of believers! For years he has focused on helping other pastors equip their people to minister. He has spoken, ministered and taught in various settings, always with an emphasis of having the participants experience the ministry, not just hear about it. 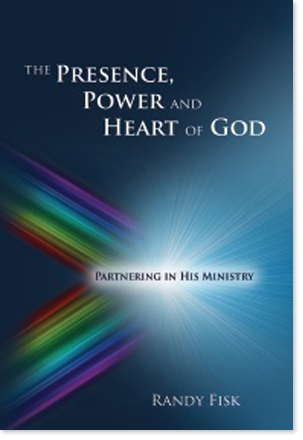 "The Presence, Power and Heart of God is at once biblically based, theologically sound, and eminently practical. Any leader interested in seeing churches begin or enlarge their ministries in the Spirit will want to read this splendid book." "Randy took us more deeply into prayer, and in understanding what it is (and isn't), and how to pray immediately, and how to work shoulder-to-shoulder in teams—to minister to each other and to those God sends our way. We learned so much, and it became so much a part of us, that it is hard now to remember how we prayed before." This book was originally published by Byron Arts, and is now available via Second Ref Press. "Christians often discard theology as too intellectual or not applicable to their lives. 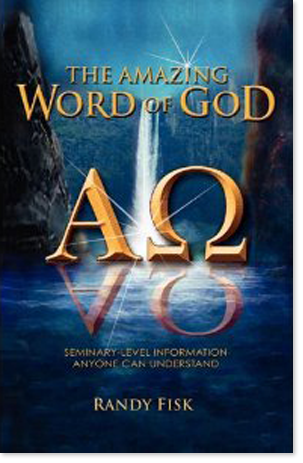 The Amazing Word of God takes seminary-level topics and tools and presents them in a practical, relevant way. This book left me with a deep hunger for the Word and a desire to know God in a deeper, more meaningful way." "In Matthew, Jesus defeats the temptations of the devil by properly interpreting Scripture and by putting the focus back on God. Randy Fisk's book, The Amazing Word of God, gives people a set of easily understood tools to interpret God's Word properly, putting the focus on God in spite of temptations to do otherwise. May God use this clearly-written and useful book to increase the understanding of believers and to teach many to worship in Spirit and Truth." Pastor George is available for speaking engagements. If your church, small group, or seminar is looking for someone to talk about theology, Church history and philosophy, healing and reconciliation, Christian doctrines, or more, send us an email! The Reverend Doctor George Byron Koch (pronounced coke) is pastor and teacher at Resurrection Anglican Church in West Chicago, Illinois (USA). He is a former Senior Vice President of Oracle Corporation and author of a best-selling book on database design (Oracle: The Complete Reference). He has published numerous articles in magazines and newspapers, on religion and other subjects, ranging from The Wall Street Journal to Christianity Today. His first degree is in physics, and science is an ongoing a field of interest for him. His doctoral studies focused on healing and reconciliation, and he continues to teach on these subjects. George lives with his wife Victoria, and two boys, George and Isaiah, in West Chicago, Illinois. You can also connect with George on Facebook and Twitter! We’d love to hear from you! Send us a message using the form or just give us a call.